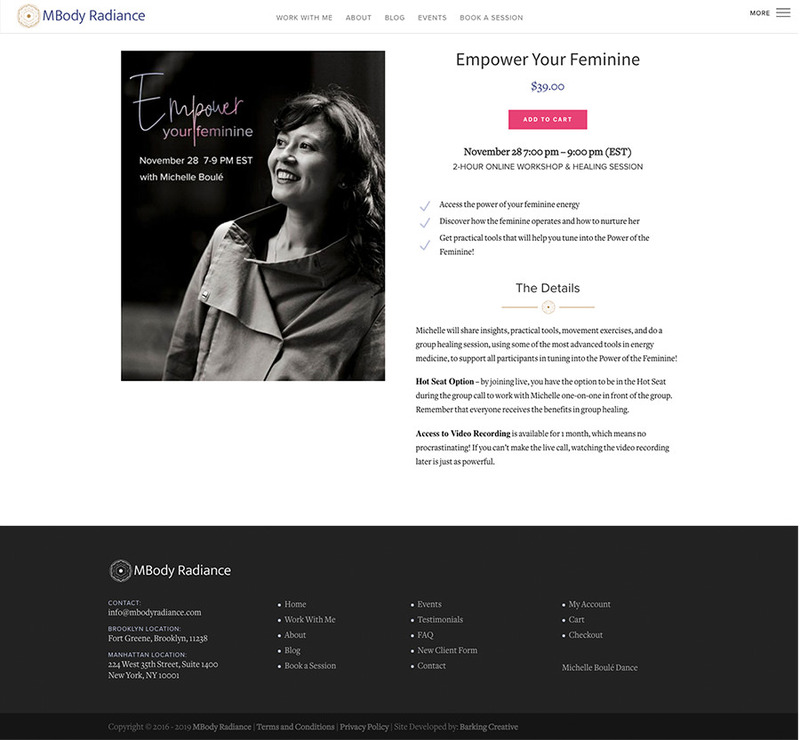 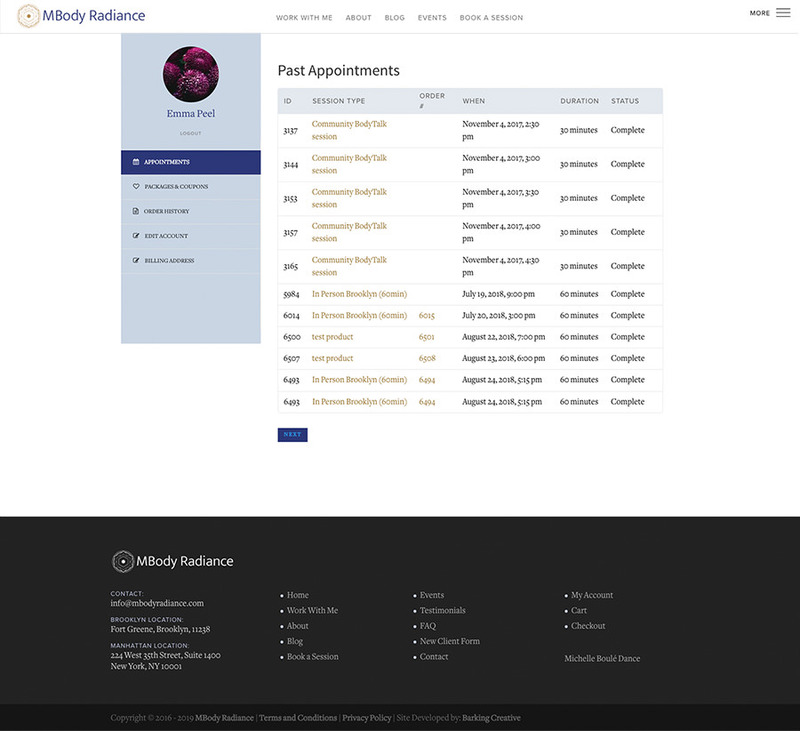 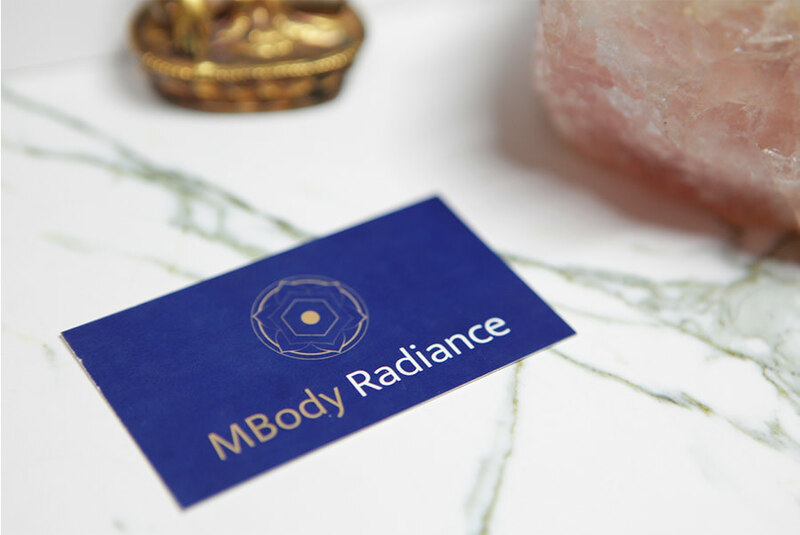 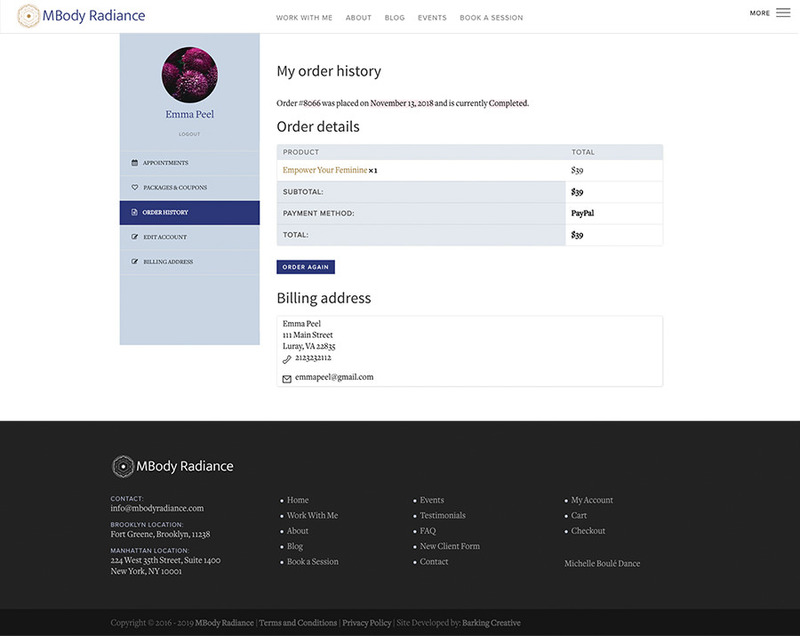 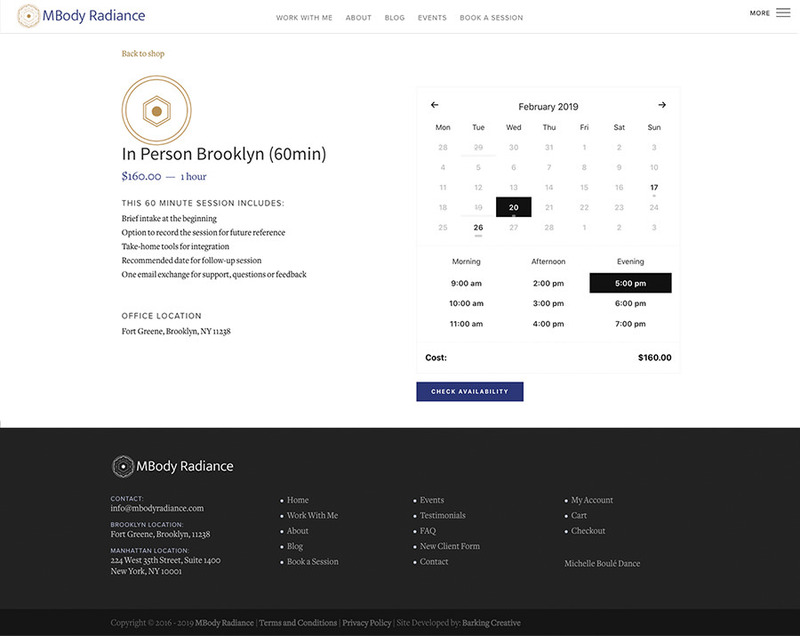 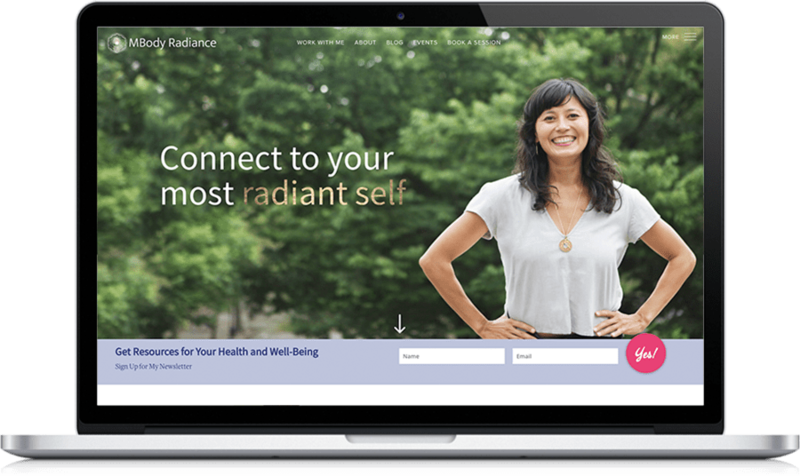 MBody Radiance is a healing online space created by Michelle Boulé, a world-renown dancer and certified bodytalk practitioner. 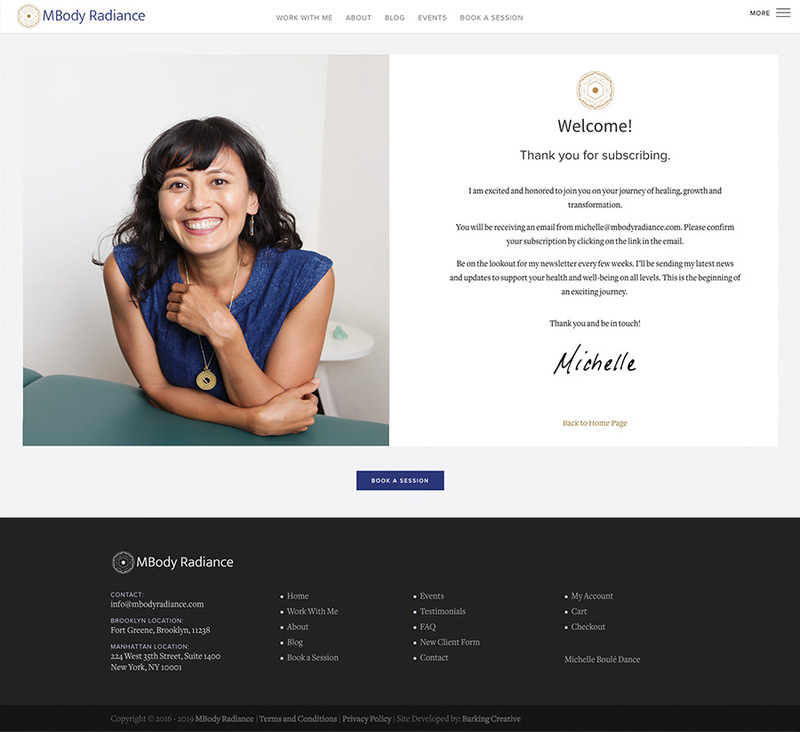 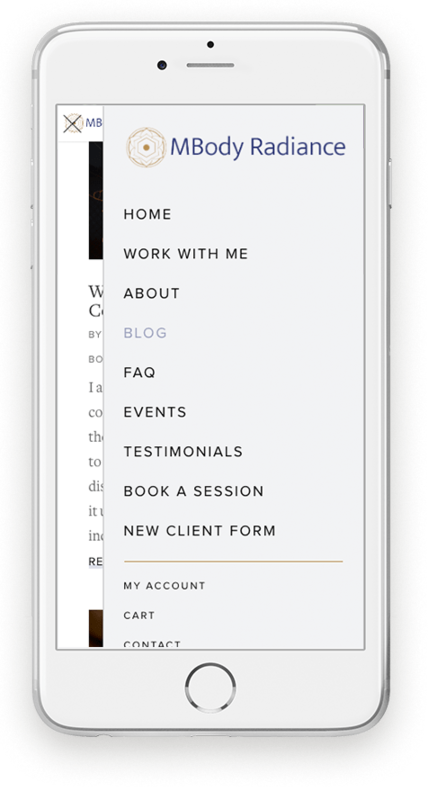 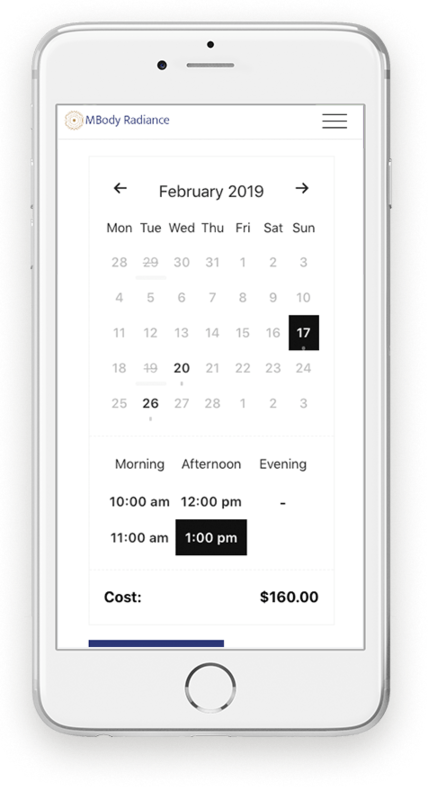 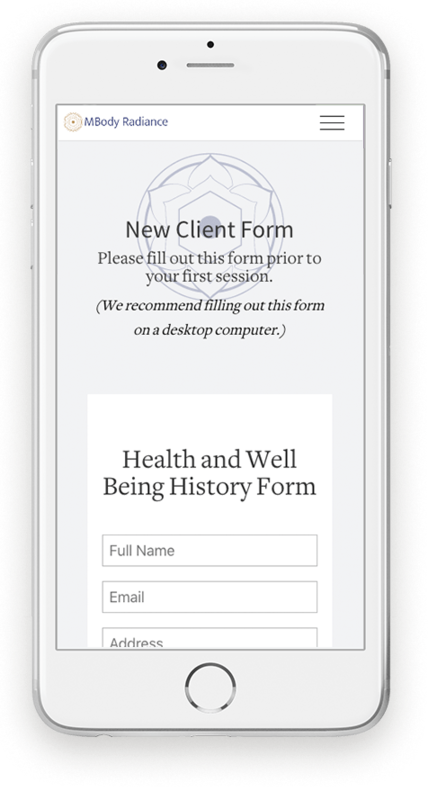 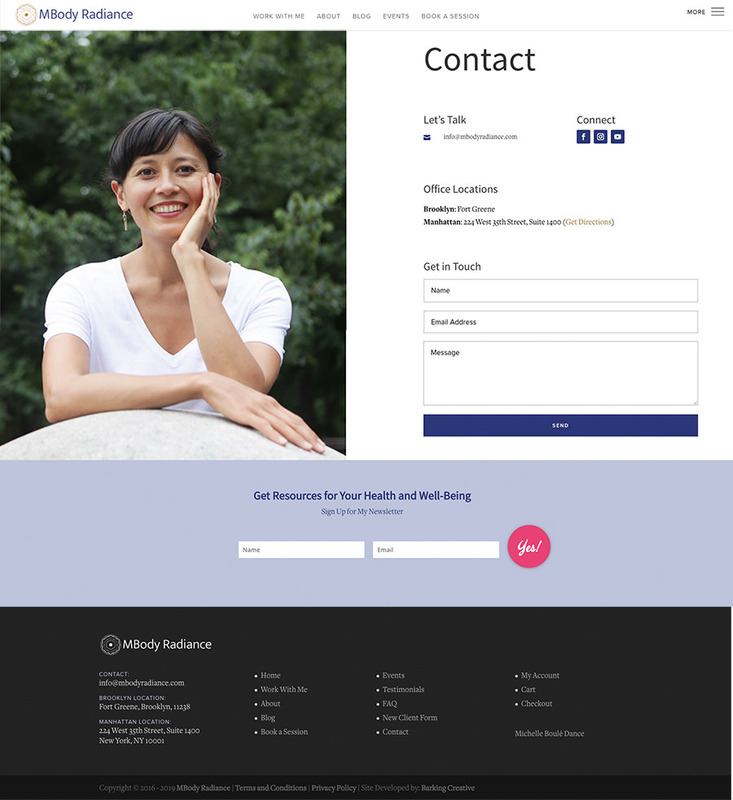 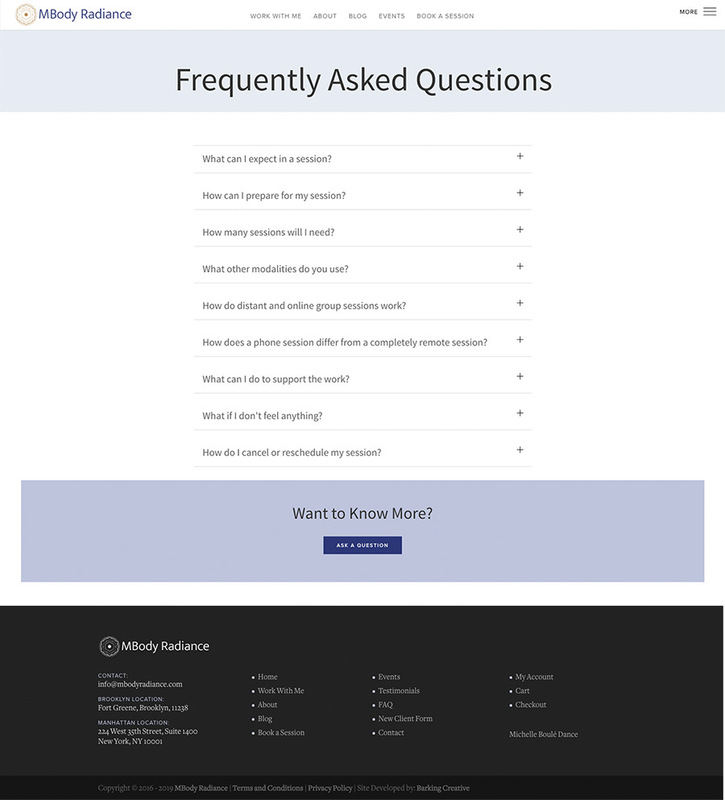 The custom designed and developed website features not only information about Michelle and her blog, but also allows visitors to book her sessions and buy her online courses. 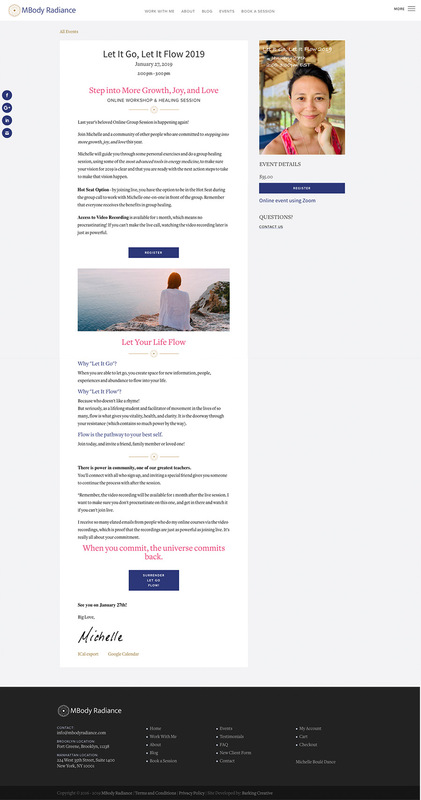 Barking Creative also designed the logo and created cusutom images for the site and marketing materials.